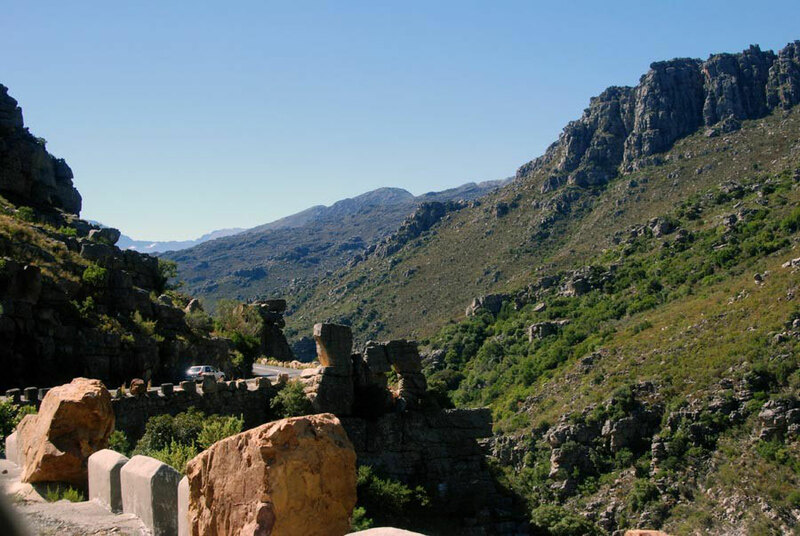 On the fourth day of our trip we set off for Montagu, a small town 150 kilometres east of Cape Town. 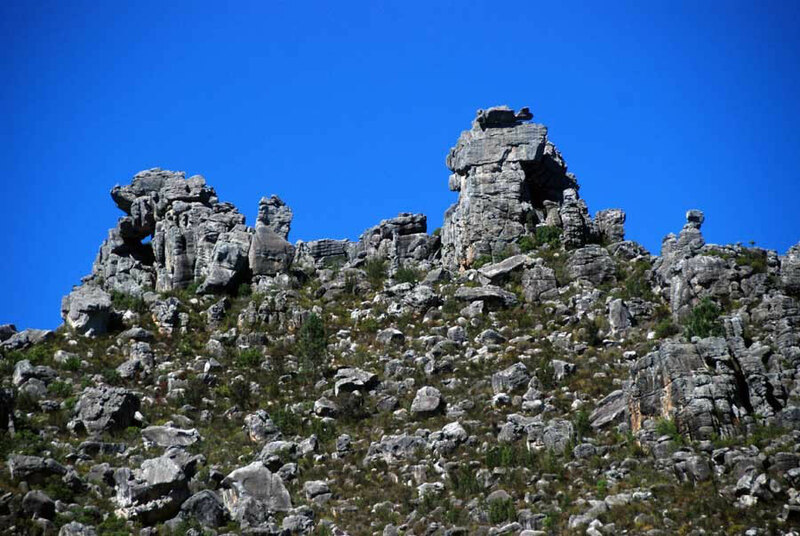 We'd come across it on the internet, and it seemed far enough way to get a feel for the country round Cape Town but not be in the city's direct ambit. 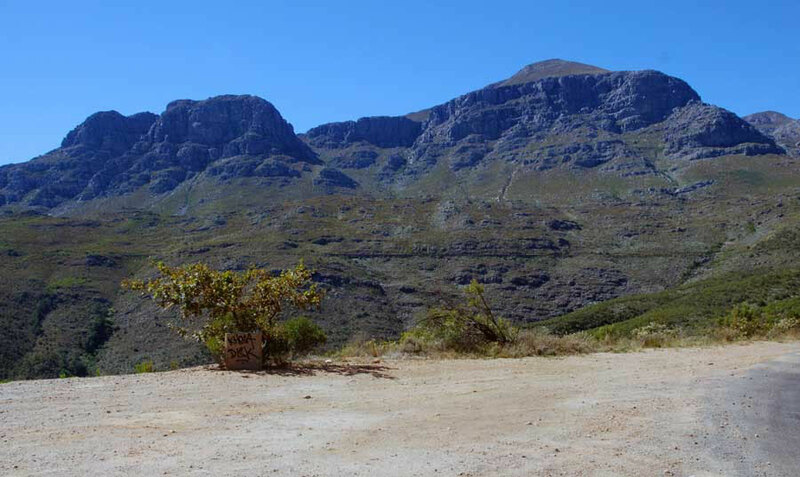 Our Cape Town friend had given us strict instructions to drive over the Bain's Kloof Pass. We left our Cape Town down 'Nelson Mandela Boulevard' and by the docks to pick up N1 for Paarl. We drive out through many suburbs and malls to distant wall of mountains looming. We left the N1 at Paarl and followed the roads for Wellington, skirting round a large township - called Mbekweni and Newtown - on the 'Huguenot Bypass'. Like all townships it is located on the land no-one else wanted situated a safe distance from the white towns and their inhabitants. You quickly learn to tell when you are getting near a township because there are suddenly a whole lot of people (Coloured or Black) walking on the roadside while the white folks go shooting by in their cars and bakkies (pick-ups). It seemed strange driving by the township near Paarl knowing that Nelson Mandela had been transferred to a cottage with a swimming pool at the back of the Victor Verster Prison in Paarl in December 1998. This was towards the end of his 27 years of imprisonment as talks with the Apartheid regime reached an advanced stage. He says, "There were no bars on the windows, no jangling keys, no doors to lock or unlock. It was altogether pleasant, but I never forgot that it was a gilded cage' Long Walk to Freedom p.650. And yet only a half hour before we had driven down 'Nelson Mandela Boulevard' in Cape Town. We climbed up through dramatic scenery to the top of the pass at 595 metres and then began a long and winding descent through dry mountains above the Witte River. The road over the pass, completed in 1853, was built by up to 1,000 convict labourers in four years and surveyed by Andrew Geddes Bain, an emigre Scot from Thurso. Bain's described the landscape on the western side of the pass as 'repulsive and savagely grand'. The forging of the new road began to open up the northern areas of the Cape Colony. 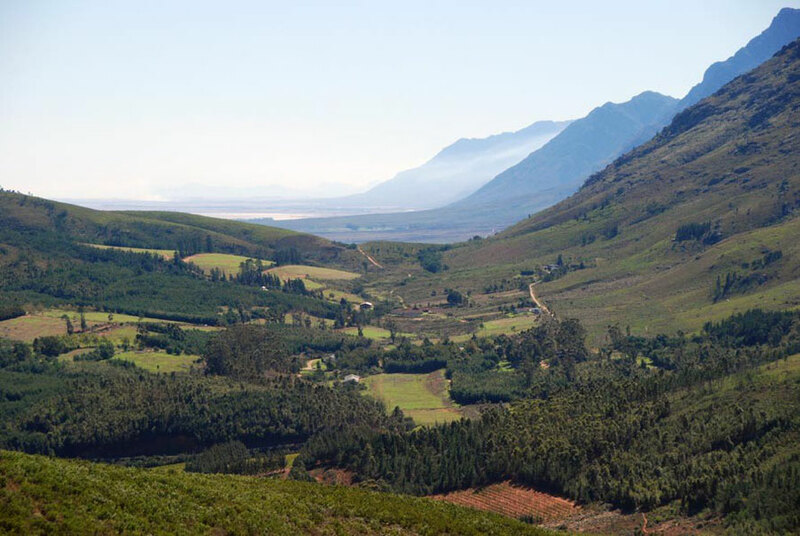 The pass descends into the Breede River valley, a major area of intensive fruit growing (largely for drying and canning) and wine production. 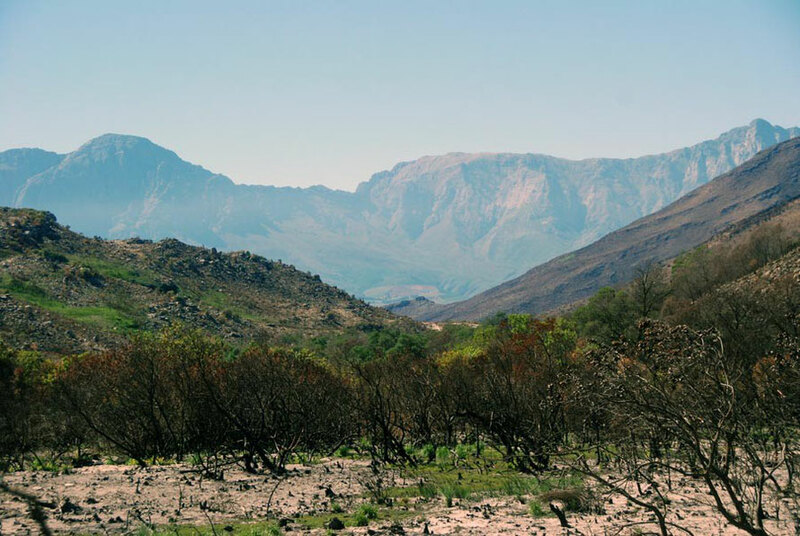 The broad-bottomed valley is completely encircled by the mountains of the Cape Fold Belt that rise to between 1,500 and 2,000 metres. The mountains are very hard-wearing and made up of quartzitic sandstone which gives them their rugged and dramatic appearance. They were formed 450 million years ago and subject to intense folding and buckling whilst underground during the formation of the supercontinent Panagaea. The mountains get snow in the winter but frost rarely forms in the valleys which can reach 40C in the summer. The contrast between the rugged mountains and the flat valley floor is astonishing. The mountains just stop dead, with no petering out of foothills. And then the valley floor of softer shales and alluvial deposits starts.